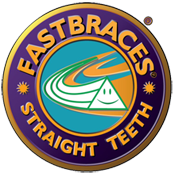 Straighten Your Teeth with Invisalign! Invisalign is a revolutionary orthodontic system for straightening teeth. Invisalign teeth aligners look radically different and are removable and comfortable to wear, too. Call us today to schedule an appointment with Dr. Desai. Porcelain Dental crowns completely cover a tooth that's affected by tooth decay too severe for a tooth filling. They are also used to repair a broken tooth, cover misshaped or badly discolored teeth, and more. Dr. Desai will work with you to ensure that you achieve the look and function you want. Cosmetic Dentistry is used when you have chipped, cracked, discolored or missing teeth. Cosmetic services allows you to have a healthy looking beautiful straight smile. There are a variety of things that can be done from porcelain veneers, whitening, to other types of bonding. Want to replace missing teeth and never have to think about it again? At InSmile Dentistry with permanent dental implants, your smile can look great again or even better than before! Call us today to schedule an appointment.